I don't eat hamburgers from McD's because they are fried, not grilled. The chicken sandwich at McD is superior to any chicken sandwich at any of the big three. 5b extra for the bbq sauce. Well worth it. MacDonalds is American. The hamburger is the quintessential American food. Grill is American. Hamburgers ares cooked on a grill. 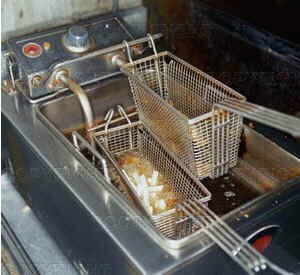 Below are photos of a grill and a fryer. Grills grill and fryers fry. 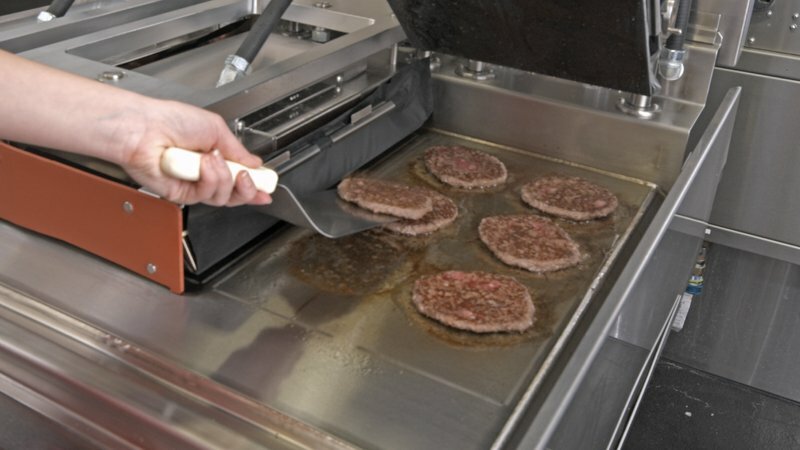 Hamburgers ares cooked on a grill. They're square. What's that all about? They even don't know what a hamburger is...you have to say hambaagaaa or they don't get it. You get the award. You are the first Falang I have ever met who had a problem ordering a hamburger at MacDonald's. They also have a duplicate of the menu board in plastic on the counter. 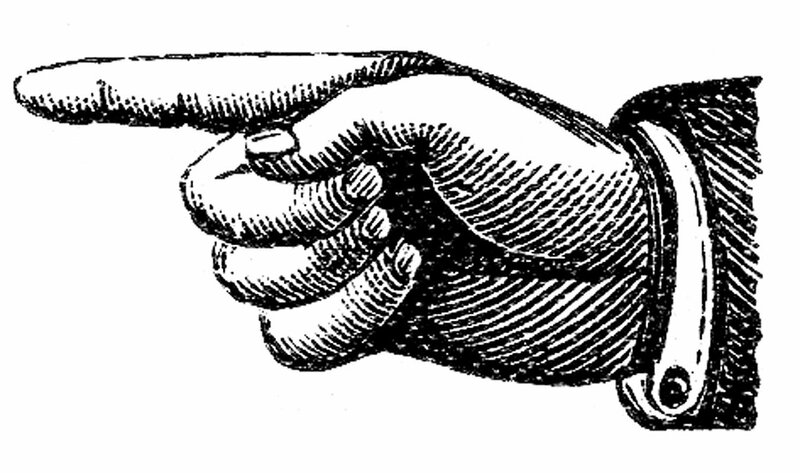 Next time take your finger and point. Gin Nea is eat here and gup bon is take away. Wendy's. Famous for grilled hamburgers. He said is was McD's? In Noth America when I want a fast food item made fresh say at McD's I just say "no pickles" and they then have to make it fresh. For fresh french fries, I ask for "no salt" and just add the salt myself. No doubt fresh made makes a big difference. He said it was fried not grilled. He thinks an American grill fry's burgers. 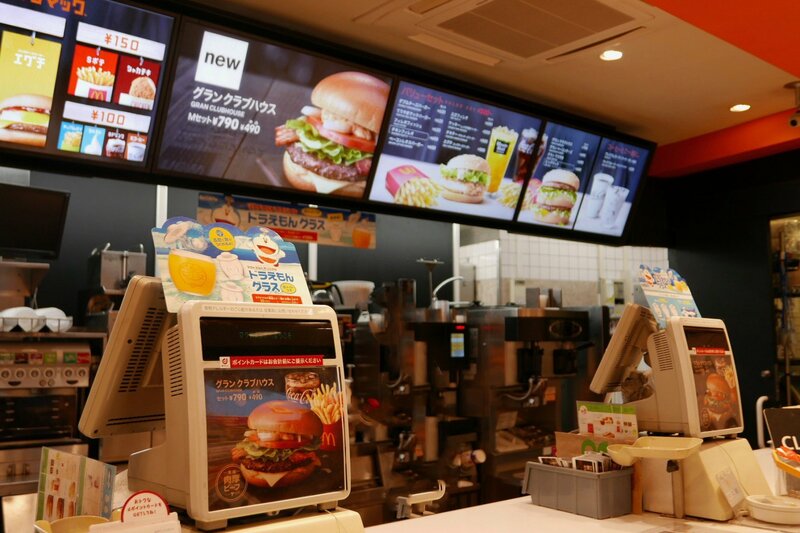 Below is Macdonald's grill. Wendy's has a prettier one. But a grill is a grill. MCD is very poor quality, go eat somewhere else if you want decent food. Shame that meat isn't meat. Where did the square patties come from then? BK also prides themselves of selling hot fresh food. Ask to see the manager, if anyone tries to serve anything less than quality food. BK website for feedback should be on the bottom of your receipt. I don't really frequent McDonalds for burgers anywhere. But I do periodically try a burger at either Carl's Jr. or Burger King in BKK. And as best as I can tell, the burgers both of them regularly serve up to me are NEVER freshly cooked, and it's not even apparent that they're recooked just prior to serving. 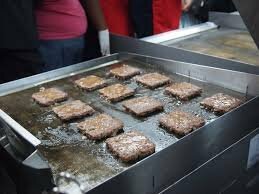 The burger patties usually come out of their kitchens tepid in temperature, looking like they'd been sitting in a tray or other container for quite a while prior to service. In the case of Carl's Jr., they may have been freshly grilled at some point, like the day before, or hours before. But pretty clearly not freshly grilled just prior to me receiving them as a customer. At least, that's been my experience with those two chains here. BK also prides themselves of selling hot fresh food. 'Prides themselves' is a statement I've come across dozens of times over the years, just never lives up to expectations. In fact I avoid any company that prides themselves to anything. You don't know Thai culture. Order original recipe (Thais don't eat) and the new crinkle cut fries or wedge fries. The fry status is in doubt as we talk because different areas are trying different ones. Yum! Brands, Inc., based in Louisville, Kentucky, has over 45,000 restaurants in more than 140 countries and territories and is one of the Aon Hewitt Top Companies for Leaders in North America. In 2018. Is poor quality the reason they are the largest restaurant chain in the world? Rolls-Royce prides itself on having a clear understanding of its customer.